We invest in research—awarding more than $55 million to date in grants alone. 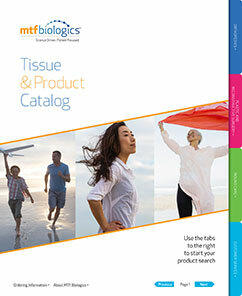 The rigors of clinically testing new healing tissue advancements guides our path to innovation. That kind of thinking—and our drive to consistently improve and find better ways to do things—has led to the development of advanced healing techniques setting new industry benchmarks. From helping people with diabetic foot ulcers find a healing solution that works, to giving women with breast cancer better outcomes in reconstructive surgery, to helping people with debilitating spine problems return to a normal life, we are the difference makers with viable, research-proven healing solutions. The ACF Spacer is engineered to meet the specific demands of anterior cervical interbody fusion procedures. Trapezoidal shape; pyramidal teeth on inferior and superior cortical surfaces. Commonly used for Tendon Reconstruction procedures including ACL and Tommy John's. Trapezoidal shape; pyramidal teeth on inferior and superior surfaces; precisely designed instrumentation and spacer ensure secure connection. ALIF Spacers are an advancement to FRA Spacers with a sawtooth pattern on superior and inferior surfaces facilitate insertion of the implant. OA and APC allografts are fresh-frozen. These complex grafts are procured from donors under the age of 35. AlloPatch® Pliable is an aseptically processed human reticular dermal tissue for use as a chronic or acute wound covering. AmnioBand® Membrane is a processed human allograft placental matrix comprised of amnion and chorion for use as an acute or chronic wound covering. AmnioBand Particulate is a processed human allograft that retains the structural properties of the extracellular matrix. AmnioBand® Viable Membrane is a cryopreserved human allograft that's processed to retain its inherent components and a viable population of cells. Designed to be used with the DePuy Synthes Fixation System to facilitate open door laminoplasty procedures. Consented for cosmetic use. High tensile strength needed for breast aug revision procedures. Handcut; unicortical face anterior; porous composition of dense cancellous bone. Cancellous chips fill gaps in a patient’s skeletal system and provide a scaffold for bone ingrowth and remodeling with the patient’s own bone. CartiMax is a ready-to-use, off-the-shelf viable cartilage allograft that can fill cartilage defects. Cube-shape design; osteoinductive due to unique demineralization process that exposes the natural proteins while maintaining a cell friendly scaffold. CONFORM Flex with Q-PACK™ technology is designed for use in trauma-related extremity procedures, including fusion, and for filling bone voids. CONFORM Sheet with Q-PACK™ technology is designed for use in the posterolateral gutters and for filling bone voids. Cortical/Cancellous chips fill gaps in a patient’s skeletal system and provide a scaffold to allow for remodeling with the patient’s own bone. Human allografts comprised of the epidermal layer of tissue and a thin layer of dermis that lends structure and support. DBX Inject is indicated for treatment of surgically created osseous defects or osseous defects created from traumatic injury. DBX Mix is indicated for treatment of surgically created osseous defects or osseous defects created from traumatic injury. DBX Paste is indicated for treatment of surgically created osseous defects or osseous defects created from traumatic injury. Large grafts are comprised of the diaphysis and epiphysis of long bones. Segments are subdivided into: whole, proximal, and distal. It is the only deeper cut ADM consisting entirely of reticular dermis, eliminating sidedness for ease of graft placement. Designed for lateral approach; pyramidal teeth on superior and inferio surface. Commonly used for Orthopedic Reconstruction procedures including High Tibial Osteotomy (HTO). LipoGrafter is a medical device used as a start-to finish closed system for harvesting and grafting autologous fat. Instrument grooves allow precise control of implant with minimal reduction of surface area for endplate contact. Bullet nose for distraction and implant insertion; precisely machined instrument slot ensures secure fit between implant and holder. Beveled edge on insertion-distal end facilitates implant insertion; pyramidal teeth on superior and inferior surfaces. Patient Matched to ensure the most anatomically correct surgical results. NovaBone® is a calcium phospho silicate and is available in multiple formulations and delivery options based on surgeon preference and procedure type. Pyramidal teeth, available in two medial/lateral lengths, four heights, two large open lumens for packing. Osteochondral grafts are procured from donors under the age of 35. They are refrigerated, which allows viability until the 35th day. Commonly used for Tendon Reconstruction procedures including ACL and PCL. Oval shape; teeth on inferior and superior surfaces; precisely designed instrumentation and spacer ensure secure connection. Profile is the only costal cartilage allograft available in pre-cut thicknesses for ease of use in reconstructive and cosmetic rhinoplasty procedures. Renuva smooths contours with minimal down time in a convenient, 10 minute procedure, without the need for general anesthesia. Commonly used for Orthopedic Reconstruction procedures including Anterior Cruciate Reconstruction (ACL). Cylindrical; buttress-style threaded dowel; precisely designed instrumentation and graft ensure secure fit. Contoured, kidney shape; beveled edge on insertion (distal end); pyramidal teeth on inferior and superior surfaces. A third generation allograft with viable cells, provides a unique alternative to autograft, long considered the standard for bone grafting. Comprised of cancellous bone with viable osteogenic and osteoprogenitor cells retained within the matrix and a demineralized cortical bone component. Designed to be used with the DePuy Synthes Trephine System – Principle-based anterior lumbar interbody fusion.